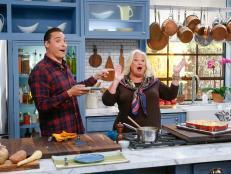 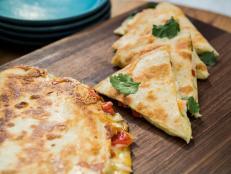 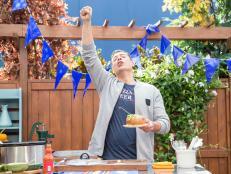 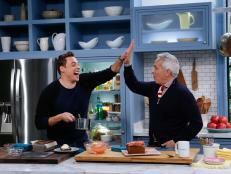 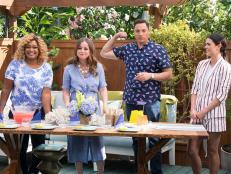 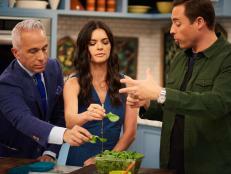 With the Summer Games just around the corner, the co-hosts of The Kitchen let their Olympic spirit shine this weekend when they featured a globally inspired feast complete with recipes from around the world (think Mexican burgers, Vietnamese hot dogs and Brazilian chocolates) — and indulged in some friendly competition. They created an over-the-top obstacle course that demanded not only balance, agility and focus but also a hearty appetite as they tried Bobbing for Doughnuts on a string. 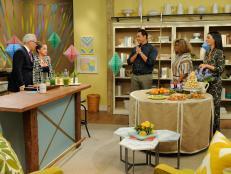 Take a peek at the photo above from this morning's episode. 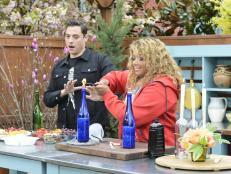 Here Jeff Mauro is enduring the Spoon Balance test, in which he's attempting to navigate tricky pool toys while keeping the lime on the spoon in his mouth. 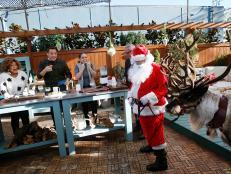 Next up for him will be the doughnut station, and then it's on to Marshmallow Archery in a race against the clock. 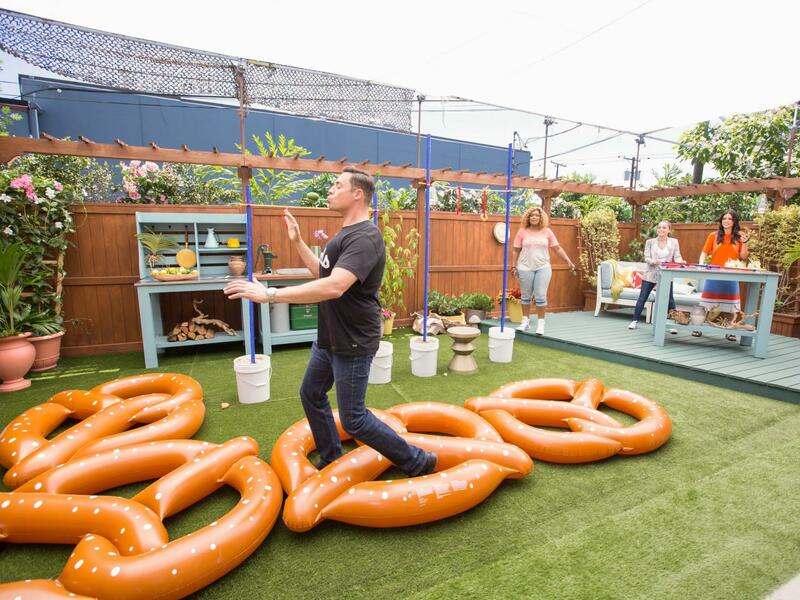 Caption this photo of Jeff in action by leaving a comment below, then learn how to set up your own backyard obstacle course in honor of the Summer Games.